Two new videos of Mafia III today which deal with the combat mechanics and the environment used to Lincoln's tactical advantage. The game from Hangar 13 releases next week. No physics for car explosions is distracting. Mafia 2 was not unique in any way, it was just a good (great) game. Mafia 1 was unique. 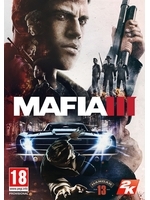 I am not expecting a mafia 1 level, but I hope it will be at least similar to Mafia 2 in terms of involvement and quality. The big difference between the two is Mafia puts most of it's energy in the on foot action. The missions feels more crafted with a real melee and stealth option. 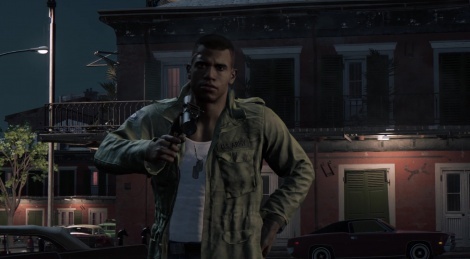 Mafia 3 seems to really be building on that. I wish GTA would adopt some of this. GTA V has a great map with very little in the way of set pieces. My hope is that someday GTA will have Hitman mechanics and level/mission detail within their world. Mafia games never felt like GTA to me for some reason. Nevertheless, I'm excited to play this. Well , maybe it wasn't unique to you but it was for me. After playing tons of open world games it felt different in a good way. I didn't finish Mafia 1 btw but i played a lot of it and yes it was more unique than 2. They seem to have made this Open World 101, which is a bit meh. Hopefully story carries it. i think the base story will be fun, but the surrounding fluff will be crap. on the plus, it looks really nice for an open world game. on the downside. it looks like it runs like crap. i'll wait until it's cheap. Going to wait for the Pro before i jump on this. Looks fantastic. Forgot the add - The bullets / explosions / physics all seem very unsatisfactory from this video. Like I don't need them to be state of the art, but they just don't look fun. Body physics are silly, the way the vehicles just do a little hop after exploding is silly and just not satisfying. My interest in this game has been a roller coaster. I don't think it's "day one" at the moment. No PS4 update has been anounced. So I wouldn't get my hopes up that it will look better or run better on PS4 pro. Maybe later after release, but I doubt it. Hope it's optimised for PC, GhostRobo (Ytuber) did have some footage back then (not in 60fps though) showcasing the game. Wouldn't be the first a publisher outsourced their game to someone else. I really hope it succeeds. The setting and the story seem very appeling to me. I find the overtaking of districts as a fitting side task, having read that you can really strategize in how you approach them. Then there's underbosses which look like a nice dynamic mechanic too, cause not giving some boss enough areas to run might result in him turning on you. I keep my thumbs up for Hangar 13. I thought it was mandatory that all games released in October and after had to have Pro mode? I think, that initial was the plan, according to leaked documents. But it's no longer the case; it's completely up to developers as to whether they add a "Pro mode" to their game. Really thats insane? So when i get my Pro in November the next 20 games that i want might only have 2 with a Pro mode? That really puts me off now...going to have to look into this more now as really whats the point in having it if the games are not going to support it? I think if you're a first time PS4 buyer then it's a no brainer. Still go for it even if some titles don't support it fully. If you DO already own a PS4 though, then of course it becomes a more difficult decision to make. I can't really find any official line on this. But also what would it actually mean for a "Pro-mode" to be mandatory? I mean, obviously all PS4 games will run on the Pro, but for a game to have a "Pro-mode" does it have to meet a specific graphical requirement?... I don't think so.